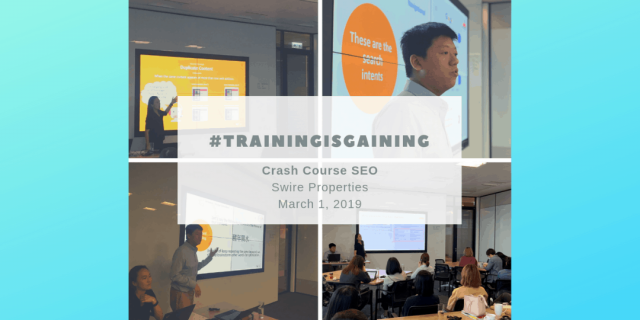 We had a great Friday afternoon training Swire Properties on SEO best practices to help them more effectively reach their audience and serve their clients online. Thanks to our Vennie, Tony, and Tiffany for preparing and delivering the presentation, and thanks to Swire Properties for being such a welcoming audience and hosting us at your offices. We look forward to working together more in the future.